I recently came across a blog post by sales funnel specialist Jeremy Ellens where he clearly explains the Lifecycle Marketing Process. It’s one of the best articles on marketing and building a profitable business and sales funnel I've ever read. He provides some cool insights into the business of Tony Robbins' business and other high profile clients. Jeremy lays a step-by-step process on how to systematically increase profits, conversions and sales funnel efficiency. This blog post easily has a value of $100 and I would have been willing to pay more for the amazing information it provides. You can read this value-packed article below and learn about a Lifecycle Marketing Process and how to build one that makes your business effective and profitable. The Yazamo Lifecycle Marketing Process has been used by Best Selling authors and information marketing leaders such as Joe Polish, Peter Diamandis and Z-Health and has increased our client’s sales by millions of dollars. The Lifecycle Marketing Process is a scientific, field-tested and data-driven process that systematically increases profits, conversions and sales funnel efficiency. Do you know how much money every single client is worth to you or asked differently, do you know the life time value of your client? Do you know the percentage of people that will buy your upsells? Do you know how much money you can spend to acquire new leads and hit your profitability goals? Is your business focusing on the wrong target market or product to sell because you don’t understand which type of client is most valuable to you? Have you struggled turning leads into sales? Have you done a product launch that fizzled out after the major push from affiliates? Have you done a launch and were unable to effectively transition those new customers and leads into your core business? Have your leads ever compared your products to your competitors based on price? Have you ever emailed your list with brute force until you made the cash that you needed? Have you taken ideas you heard from other entrepreneurs, tried to quickly and sporadically implement them in your business, and seen minimal results? Have you ever implemented ideas to increase your leads or maybe to improve sales for one of your products with minimal results and not know what to do next? Have you ever spent money on a website without tangible definitions of return on investment? If you don’t have a clear answer to these questions, then you are probably letting money slip through your fingers. Many of our clients have faced these exact problems, that’s why they called us for help. However, once you go through the Lifecycle Marketing Process, you’ll have the answers to these questions and know exactly what to do, to increase profits. Incorporating the Yazamo Lifecycle Marketing Process into your business, if done correctly, will help you convert more leads into customers and get maximum revenue per customer than with any other sales process. However, before we go into the details of the Lifecycle Marketing Process, I have to tell you, I’m not going to sugar coat things and mislead you to believing this process is easy. Or that it is something you do once, walk away from and be showered in profits. While the Lifecycle Marketing Process may take time and effort to implement, if it can increase your profits by hundreds of thousands or even millions of dollars, is it not worth the effort? Most business owners spend hours upon hours on things that won’t put a dollar in their pocket. We believe once you see the money come in from the extra effort, you’ll be happy to follow the process and you’ll use it over and over again. Although we know not everyone has the time or marketing stamina to implement such a complete and powerful process, we know, if you do, you’ll have an unfair advantage over your competition in this age of dropping email open rates and online advertising clutter. The first step in the Lifecycle Marketing Process is to make your Lifecycle Marketing Map. A Lifecycle Marketing Map is a diagram of your sales funnel process… it’s a map of all your products, price points and the overall buying sequence a typical customer goes through when they become your lead. Creating your Lifecycle Marketing Map is the first step to finding the money leaks in your sales process and fixing them. 1. Ill-Logical Flow – trying to make the right sale at the wrong time can kill your conversions. Depending on your audience, it might not make sense to follow a conference with a membership program or to follow a free e-book with a training course. Once you finish your map, you’ll see where you may be confusing customers and losing sales. 2. Customer Lifetime Value – the Marketing Map will help you discover the true lifetime value of a customer, even if you have multiple audiences that you sell to. You may find out your leads are worth more than you think (or less) and you can increase or decrease your lead generation budget in specific areas to increase your income. 3. Money Leaks – this is the most common… once you map everything out, you’ll see first hand where your sales process is missing or lacking and you’ll literally see where money is slipping through your fingers and you are losing hundreds of thousands or millions of dollars. Below is an example Lifecycle Marketing Map using Tony Robbins’ business. Okay, let’s talk about the different cycles of the Lifecycle Marketing Map. Lead Magnet – A lead magnet is anything you are doing to get people interested in you and to raise their hand in someway. This could be an online email opt-in, it could be subscribing to your YouTube channel, it could be responding to an ad for a free product, following your business on Facebook, etc. The Tripwire is the first product you sell to your customer. Statistically speaking, it’s easier to sell to an existing customer verses a new customer. In fact, an existing customer is 60-70% more likely to buy than a new prospect, who is only 5-20% likely to buy. For this reason, it’s important to offer a lower priced product or service to make it easier for your customer to make their first purchase. And it makes it easier for you to continue to selling to them. Your Core Product is your product that most of your customers will buy and the product you will make the most money from. If you have multiple Core Products that people buy one after the other, that’s great! The Profit Multiplier is any additional product or services you sell to those extremely loyal customers who have bought everything you have to sell and are still asking for more. This could be a high-end coaching package or multiple day workshop or seminar. The last part of the Marketing Map is the Referral Strategies and different ways you can get customers or prospects back into the sequence, called theRe-engagement Strategy. Your Re-engagement Strategy could be a monthly membership program, a consumable product, an updated product, etc. You will notice that below this map, it shows the total life time value of each customer in Tony Robbin’s sales funnel as he moves them from left to right. This is extremely important to know in making strategic business decisions. Once you’ve created your Lifecycle Marketing Map, it’s time to crunch the numbers. This may be the hardest part, but it’s the most important. Real numbers don’t lie. Now that you know the numbers, you can find your break-even point. Your break-even point is where you start making money in your Lifecycle Marketing Map. It’s common to lose money when acquiring a lead. Once you’ve finished your Lifecycle Marketing Map and collected all the metrics, you can start to strategize or brainstorm ways to move the break-even point to where you want it. This is the point where the rubber meets the road… where you can create and implement new strategies, price points and ideas into your Lifecycle Marketing Map. This is also where most entrepreneurs quit. You see most entrepreneurs aren’t marketers and they don’t study marketing and sales funnels, they’re too busy working “in” their business. I’m sure you’ve heard the phrase, “you need to work ON your business, not IN your business. This is the step that gets you to work ON your business and it separates the leaders from the wannabes. At this point, when working with our clients, we use our past experiences, case studies and knowledge of who’s using what and what’s working best and figure out the fastest way to optimize our client’s Lifecycle Marketing Map. We do this by helping increase conversions, lowering the cost to acquire a lead, increasing the life time value of each client, creating referral strategies, and more. If you plan to implement this process yourself, it will help you to study the sales funnels of other successful info-marketers. You can do this by opting-in to their offers and even buying their products… just to experience their sales funnel. As a word of warning, the best strategies to implement first are those that model actual profitable results. Just going through someone’s funnel does not mean it is profitable for them. Other ways to get ideas, might be to join mastermind groups, attend marketing conferences and collect marketing pieces from other marketers. The key to your success is persistence. What works for someone else, may not work for you, so you’ll have to test and tweak until you find the right combination for maximum profits. This is the hardest step, but it’s where you’ll make the most money… do NOT skip it! At Yazamo we do nothing else but study and optimize sales funnels. The Yazamo Lifecycle Marketing Map is what we’ve used to evaluate the sales funnels of top marketers such as Joe Polish (Piranha Marketing), Peter Diamandis (Best-selling Author) and Z-Health (leader in the personal training niche) and many more. We have access to some of the top marketers today and know what’s working and what’s not. While each business is different, we know the best practices that have the highest chance of working based on real numbers, not just theory. Once we find the best project to immediately increase sales in your Lifecycle Marketing Map, we create a Strategic Project Scope, that maps out step-by-step the the intricacies involved in implementing improvements to your sales funnel. There are many pieces to a proper sales funnel, controlling and evaluating each step can be an over-whelming task. Use the example below to help you map out your Strategic Project Scope for the single project you deem to be most crucial to improving your Lifecycle Marketing Map. Convert website visitors (~12,000/month) into sales by offering a free 3 training videos sequence. The training videos promote a webinar which will sell them into a $1000 course on the webinar call. Based on past experience, once people get into this course, there is a 73% upsell rate so the main objective is to close website visitors into the $1000 course as this is the highest ROI project to begin with. 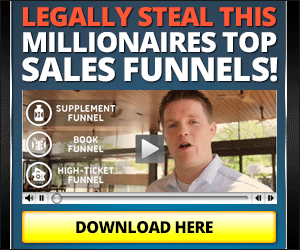 Micro-Conversion: Number of opt-ins to receive 3 free training videos. Micro-Conversion: Number of opt-ins for webinar. Micro-Conversion: Number of webinar attendees. Main Conversion: Percentage of leads who purchase the $1000 Course. SSL Certificate for one domain (To make your website secure to accept credit cards). International Merchant Account Login (Be able to take credit cards internationally). PayPal Account Login (Be able to accept PayPal as an alternative to credit card). Infusionsoft Login (Have a marketing automation and eCommerce platform to run your sales and emails through). Google Analytics Login (Track analytics and conversions on your website). Domain/Hosting Login (Access to make changes to your website and sales pages). Wordpress Login (Access to make changes to your website and sales pages). Sales Person (Contact information to provide in our follow up sequences to improve sales). Dependent on CLIENT. Client films and edits video. Copy direction provided by Yazamo (your marketing and tech team). Video should explain why people should opt-in to the sequence. First name/email fields to receive the 3 training videos. Home page simplified so that the single goal of the homepage is focused on opting in, not exploring 20 different links. Dependent on CLIENT – Client films and edits video. Copy direction provided by Yazamo (your marketing and tech team). Training Videos/Sales video are shown in the navigation to reinforce there are more videos coming and people should keep an eye on their inbox. Comment system to provide social proof and social shareability of the training videos. Incentivization for top 5 comments on how they have applied the Client training video knowledge or how they will take action. Prizes will be a free seminar, video product, etc. Need to confirm incentivization prizes with CLIENT. Incentivization will increase number of comments. Comments will be the same plugin on each video page. Comments posted on user’s walls will redirect clicks to our opt-in page, creating free traffic and sales. Provide social proof and create shareability for the videos. Webinar registration call to action. Provide an opt-in for people to register for the webinar. Share webinar on Facebook/Twitter buttons. FAQ related to the webinar. Dependent on CLIENT – Client team produces the webinar. Webinar copy direction provided by Yazamo (your marketing and tech team). Use GoToWebinar or similar software. Push people to the order page for the conference. Best day to host webinar Saturday morning or Thursday evening. Directions about what they should expect next. Email support form sent to Sales@Example.com and CLIENT will answer any sales related questions. Phone number listed on each page and should go to CLIENT sales team. Areas to be Optimized – Potential areas to be optimized determined by analytics to be the most pressing opportunity. Pricing options (# of payments/price point). Discounts for buying multiple conference today. Being these projects are extremely detailed, we recommend you create a graphical representation of your Strategic Project Scope, which will help you and your team understand what needs to be created and tested. Below is a graphical representation of the Example Strategic Project Scope described above. As I said before, building out a full Lifecycle Marketing Map for your business may not be the easiest task to complete. However, considering that you could be losing hundreds of thousands (if not millions) of dollars if you don’t… can you really afford not to? You have GOT to be aware of what is NOT working in your sales process and be able to fix the leaks that are killing your bottom line if you want to get your business to the next level! With a Lifecycle Marketing Map, you not only gain a birds-eye view of your business and sales funnel process, but you gain clarity of where you are losing money, what’s working and what isn’t. This is why top marketers, business owners and info-marketers such as Joe Polish, Peter Diamandis and Z-Health call us when they need to increase their profits and sales. The Yazamo Marketing Map and Strategic Project Scope Package is a complete and thorough evaluation, audit and road map of your sales funnel process. It is broken down into 4-Steps. Step One Create Your Lifecycle Map – In this step we go through your sales process with a fine-toothed comb. We evaluate your products, packages and price-points of your sales funnel. We then compile the data and create your Lifecycle Marketing Map so you can see the whole process with your own eyes. Step Two Analyze Data – In this step we do the math. We look at conversions, opt-in rates and the over-all metrics (or strength of your sales funnel). We will compile the data in a simple way so you’ll easily be able to see first-hand where you need work in the process. Step Three Determine Your Break-Even Point – After we do the math and analyze your data, we determine your break-even point. This is the place in your sales process where you first make a profit. Knowing this number will help you stay profitable and understand how much money you can spend on advertising or incentives to get more people into your sales funnel. Step Four Uncover Best Profit Opportunities – Once the map is built and all the data is collected and we’ve determined your break-even point, we then, based on experience and data from other highly successful campaigns, make recommendations on how you can increase profits the fastest. Basically, we’ll tell you what to do first to create the greatest financial impact, based on the information we collect in steps one through three and how to test to get maximum results. What Does a Yazamo Lifecycle Marketing Map and Strategic Project Scope Cost? Considering how important a Lifecycle Marketing Map is to your business and that it can literally help you capture hundreds of thousands or even millions of dollars into your bank account… we could literallly charge $10,000 for our service plus a percentage of the profits we help you recover. If you were to do this process yourself, it may take you days, weeks or even months, before you get it done and get to a point where you can start implementing. As a business owner, your most valuable asset is time. Plus, unless you have your finger on the pulse of your industry and study what other marketers are doing, you are at a disadvantage. You’ll spend more time testing and tweaking strategies to find what works, costing you even more time and money. Jeremy Ellens has written an amazingly comprehensive blog post about the easiest and fastest way to get the most effective Lifecycle Marketing Map and Strategic Project Scope for your business. You should have gained the insight and clarity about your business that ALL the top marketers and business owners have. To be fully aware of what’s happening in your business is absolutely essential! The things you don’t know can be killing your profits and emptying your bank account. So create a Lifecycle Marketing Process Map for your business and start implementing the recommendations to get onto the path of success and longevity. Jeremy Ellens is a sales funnel specialist with online marketing firm Yazamo. They have worked with some of the top best selling authors and information marketers in the world. You can find the original post right here! Previous post: Nuriche: Good For Your Body And Your Pocketbook?